Earn $49.95 in VIP credit (4995 points)What's This? 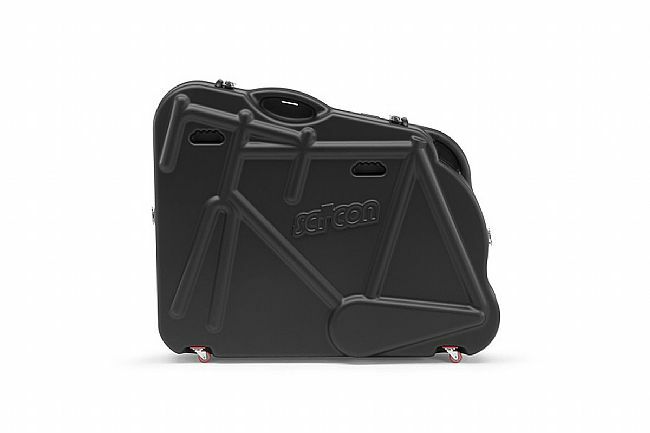 The SciCon Aerotech Evolution 3.0 TSA Bike Travel Case provides a lightweight, secure, and easy to use hardshell flight case ideal for transporting road or TT bikes. Developed and engineered in Italy, the Evolution 3.0 TSA case if one of the lightest and most durable cases on the market. 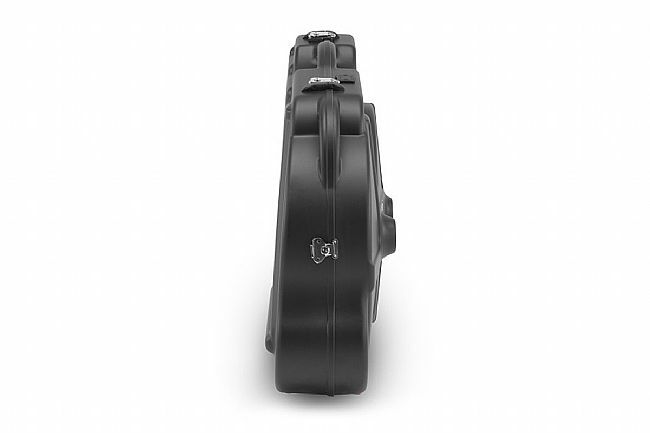 Constructed from high-impact ABS composite, this case was developed to exceed the expectations of professionals and amateurs alike while only weighing 26lbs. 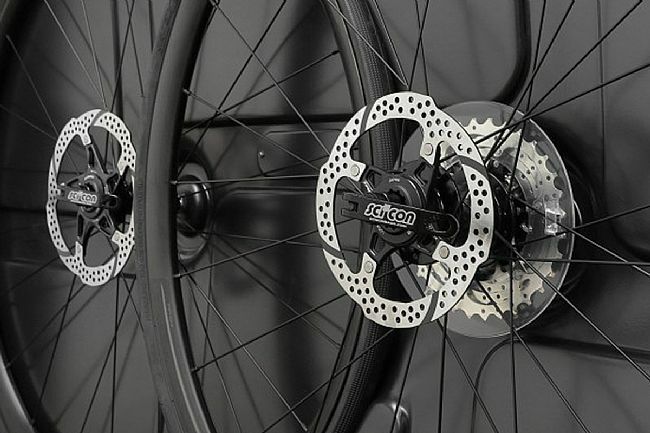 Easy to pack and unpack, the Aerotech Evolution 3.0 only requires the removal of both wheels, the saddle (and seat post), the left pedal and for the handlebars to be loosened. Featuring dedicated storage space for all components, the wheels even are secured to the inside of the case via the skewers. The Suspended Frame system cleverly holds the frame in place with the minimal contact via seatbelt-like straps attached to the frame with included tube pads, absorbing shock and avoiding abrasion. The ease of use doesn't stop on the inside, featuring 4 precision ball bearing wheels capable of rotating 360º to keep the case upright and maneuverable. Two Travel Sentry® TSA key locks keep the case secured during travel, but easily inspected by customs or other travel authorities. Worked like a charm, until I swapped over to tubeless. The tire wells won't fit tubeless. I needed to create a work around to allow the tires to fit more inside the case, because you can't get a tubeless tire to lay flush inside the well. Best bike box on the market. This is the best bike box on the market. The most unmechanical person, i.e. me, can easily put the bike into this box. I've traveled to Spain, CA, Israel, AZ with no problems. The case also has lots of storage space for helmets, food bars, shoes, powdered drinks, and clothes. Love this case, I had to buy two, one for my wife and for myself. They are a perfect combination of lightness and strength. The only one I know of that is stronger, tougher is Bike box Alan, and I don't think they are available in the USA. Having one frame broken in shipment using a lesser product, these are great. 0 of 12 customers found this review helpful. I've flown on several domestic flights with a bike bag or bike box. The reality is most airlines are now charging a bike bag fee anyway, so expect to pay from $50 to $200 per flight! The agent will ask you if this is a bike and if you say no they will ask to look inside (it has happened every time to me). The agents are trained to recognize the brands that make bike bags. Airlines are looking for extra fees everywhere now. Try shipping your bike with Bikeflights.com, FedEx or UPS. Make sure you're credit card adds extra lost or damaged insurance, because bikeflight.com has only $500 insurance per bike, while FedEx or UPS will charge you for each $100 of value after the first $100. Major shippers offer little insurance standard. Take your back-up bike as well so your expensive bike is not damaged. 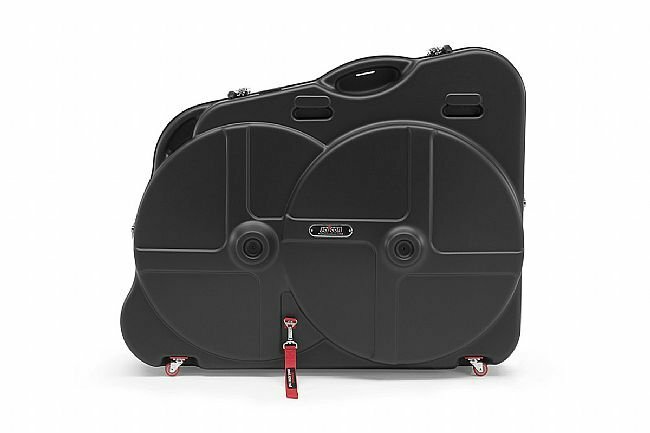 A robust and durable bike travel case that is stronger and more resistant to damage than those with inflatable side panels. Internal protection is second to none and the case secures with TSA approved locks. 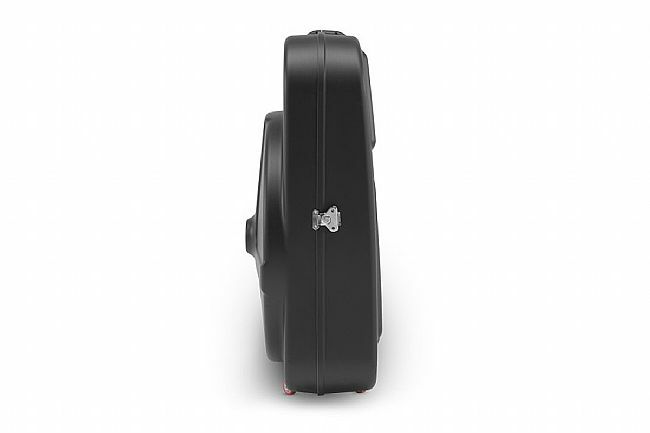 The case's 360 degree wheels make it easy to move around the airport. Easy to pack and requires only minimal disassembly of the bike. The box weighs about 25 lbs. so when fully loaded with a frame, wheels, pedals, tools, it is still under 50 lbs. No extra weight charges! I recommend this product to anyone who wants to ensure their frame arrives in one piece. 11 of 11 customers found this review helpful. Warning these bike cases are notorious for cracking in the wheel wells if they are dropped by a baggage handler. This happened to mine on the fifth leg of third flight with it. Didn't make it 6 mos. This happened to friend of mine as well. There are much better hard cases out there. Very happy with the replacement case i got. Took my Trek 56 road bike with me from Hoston via Toronto to Tel-Aviv Israel and back to Houston via Toronto. The bike and all other items, helmet, pump, shoes and cloths made it both ways in perfect condition. The case did not even get scratched. I highly recommend this case for overseas travel as it was very easy to roll, carry load and unload. The SCICON AEROTECH EVOLUTION 3.0 TSA BIKE TRAVEL CASE is spectacular, it protects the frame very well and is easy to carry on trips. Bomb Proof Case with more space then I needed for a 1 month trip. I liked the fact it is easy to pack and has lots of spare space. To be safe I removed the rear derailleur. My wife's road bike is very small and I had trouble packing it because it did not fit the large shape of the box . I had make sure the frame was low in the box. Overall there is more then enough room to pack a bike. 4 of 5 customers found this review helpful. 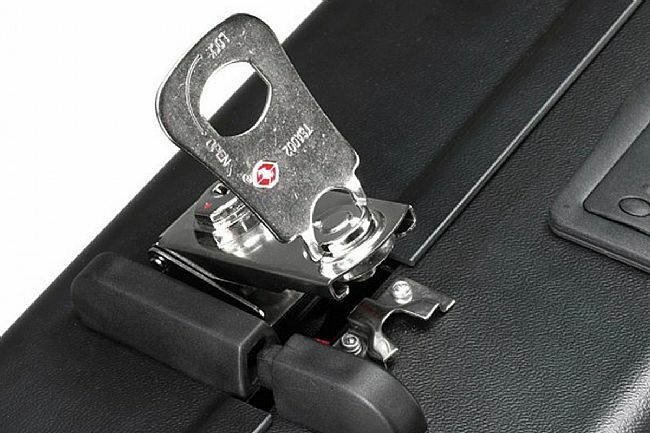 A robust and durable bike travel case. The internal protection is second to none and the case uses TSA approved locks. The 360 degree wheels have integral bearings to keep them running smoother for longer and, they make it easy to maneuver around the airport. Easy to pack and requires only minimal disassembly of the bike. A suspension system holds the frame in place, and the wheels are held in place on the side of the case by steel skewers. This keeps them separate from the frame. The box weighs about 25 lbs. so when fully loaded with a frame, wheels, pedals it's still under 50 lbs. No extra weight charges! Overbuilt and can tolerate some abuse from baggage handlers. 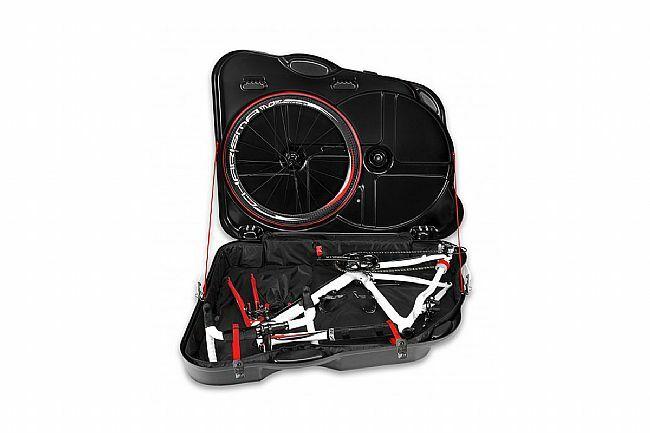 This is THE bike travel case for anyone who must ensure their bike arrives completely undamaged.